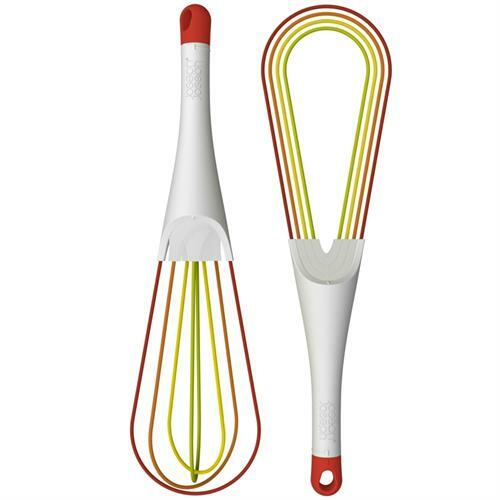 This clever gadget includes two whisks in one. A flat whisk ideal for mixing sauces in low pans. With silicone-coated steel wires perfect for non-stick cookware. Then with a simple twist of the handle it evolves into your traditional balloon whisk. Can be easily dismantled for cleaning, and can be closed flat for easy storage.